El Chapo isn't escaping again this July. One year after the drug kingpin's escape from a maximum-security prison in Mexico, where he infamously dug a tunnel to freedom, Mexican official Miguel A. Osorio Chong tweeted a photo of El Chapo himself sitting in jail. He captioned the photo, "Para los rumores, una imagen..." which translates to "For the rumors, an image..."
Rumors circulated over the weekend that the Cartel leader had once again escaped his cell -- but officials were quick to silence those claims. "I killed two or three thousand," Chapo told law enforcement. "I'm a drug trafficker. I don't kidnap or steal or extort or anything like that." 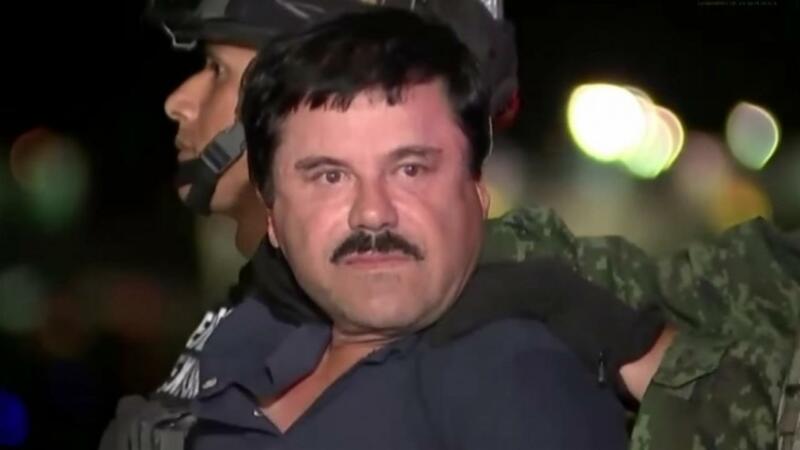 And most famously, the world watched in awe one year ago today, July 11, as news surfaced that El Chapo, real name Joaquin Guzman, had escaped from a maximum-security prison through a tunnel under a shower. He had been imprisoned for less than two years. After a nationwide manhunt, that spanned from Mexico to California, El Chapo was captured in Los Mochis, Sinaloa on Jan. 8, 2016.